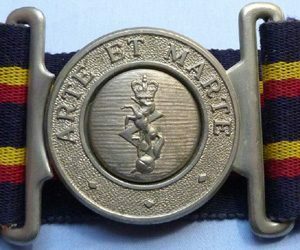 British Post-War REME Stable Belt. Original British Army post-war dress belt for the Royal Electrical and Mechanical Engineers. Belt made by Hobson and Buckle by Gaunt. Length is 32 inches.